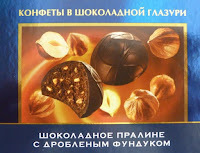 Today was a special chocolate day—an opportunity to try a chocolate from Russia. These Vdohnovenie (Inspiration) chocolates from Babayeva/Babaev (Moscow) were (gratefully) hand-carried on a plane from St. Petersburg, Russia to California. I can occasionally find chocolates from around the world in international markets or specialty shops; but not all brands or flavors are readily available, even online. So this was a welcome gift indeed. Each dome-shaped "chocolate icing"covered piece contained a rich chocolate praline filling embedded with nut bits (hazelnuts), creating a sweet and satisfying tasting experience. Every country has a slightly different food and chocolate landscape. As one might expect, Russia has its own chocolate companies and offerings, particularly in larger cities. 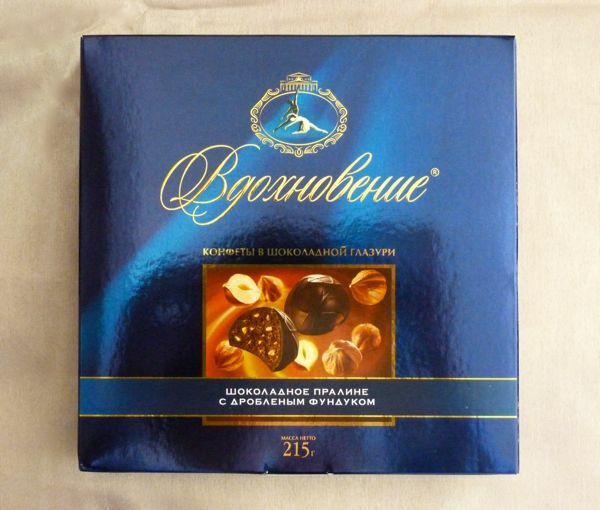 The Russian chocolate makers that turned up in an online search included: Britarev Chocolate Co.; Fresh Cacao; Kudvic (also selling equipment to aspiring makers); Verhoff Chocolatier; Chocolate Manufactory Murtazali; and Museum of Russian Chocolate History, Museum of History of Chocolate Criollo (factory and boutique). Yes, there are Chocolate Museums in Moscow. * And, in St. Petersburg there is a Chocolate Museum and boutique in the basement of the Stroganov Palace—that offers hand-made chocolates and has chocolate sculptures. In other signs of chocolate expansion: the annual Salon du Chocolat has been held in Moscow for the last few years, where judges evaluate chocolates from top chocolatiers; and, in recent years, larger European chocolate companies established factories in Russia in hopes of selling more of their chocolates there. 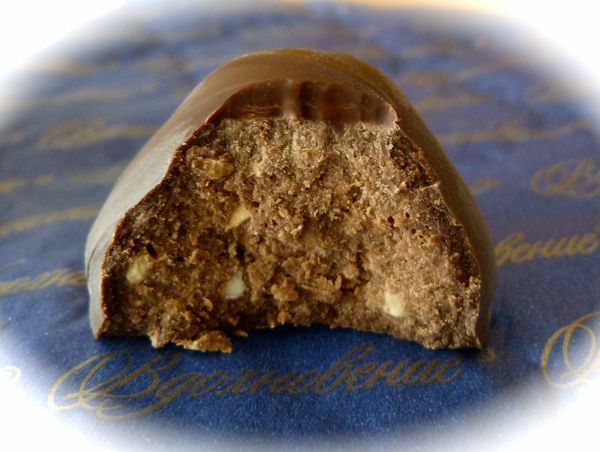 *Note: For those who might be planning a trip to Moscow, in addition to the Red October (Krasny Oktyabr) sweet factory, there is a Museum of Russian Chocolate History that opened in 2014. The museum is located in the former Khanzhonkov's house in Trimphalnaya Square. Visitors can see how chocolate is made, learn more about early chocolate makers (and packaging), and can shop at a chocolate gift shop. The museum also offers chocolate classes for children.